​Dr. Kevin Reavis is passionate about living life to the fullest with pursuits of surgical collaborative innovation, education and advocacy intertwined with a strong dedication to family as well as personal wellbeing. He was born and raised in Virginia Beach VA. He then moved steadily westward with stops at the University of Virginia, Vanderbilt University and completed his residency in general surgery at Oregon Health & Science University. He completed a fellowship in minimally invasive & bariatric surgery at The Ohio State University and continued his professional journey around the country as a faculty surgeon at the University of California, Irvine. He couldn’t resist the utopian existence of the Pacific Northwest and returned where he serves as an esophageal, foregut and bariatric surgeon with the Oregon Clinic. He has been the lab director for The Foundation for Surgical Innovation and Education since 2011 and is director of bariatric research and assistant fellowship director for the Legacy Weight and Diabetes Institute. Dr. Reavis is an active leader in numerous national and regional surgical societies. His research interests include diseases of the foregut, surgical instrument innovation, endolumenal therapies and surgical education. 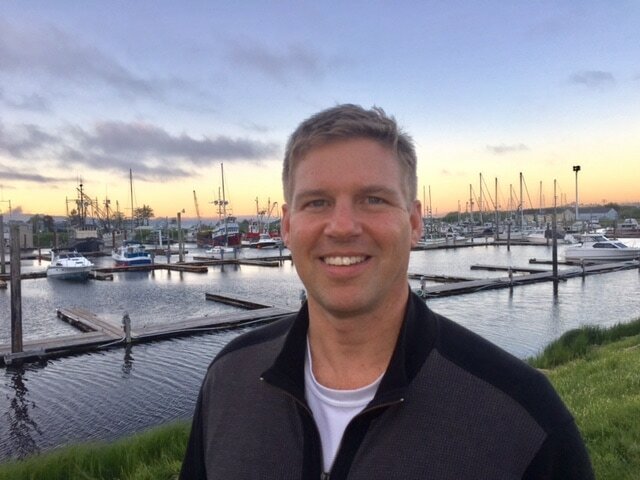 He lives with his wife Kelly, son Nathan along with the family dogs and enjoys biking to work, team sports as well as all the great mountain & coastal adventures living in the Pacific Northwest provides.